Call(866) 933-6344 for solar power installation by the area’s most knowledgeable solar power company in Denton, Texas. At Aztec Renewable Energy, Inc., our very professional and expert solar knowledge will make you a believer. Our wind and solar energy expertise and low prices have transformed us into the area’s best known and most respected solar installation company in this part of the United States.. Aztec Renewable Energy pioneered the Texas and Oklahoma’s renewable energy market. We consistently meet with city planners to create ordinances that allow wind & solar installations throughout Oklahoma and Texas. We provide low cost and highly professional solar services including design, electrical contracting, system installation and solar power systems sales of U.L Certified Solar Panels. We have the proper licensing for installation, construction and service work.We offer 100% financing and zero down payments. Our solar and wind power designs and installation are done by highly trained professionals. Aztec uses only the highest level of U/L rated materials and all of our technicians are the best trained techs and professionals you have ever worked with. We have seen other solar companies come and go but we are still around and better than ever! As your friendly solar installer with the most current knowledge we will give you helpful information about solar tax rebates. Our solar panel costs are the lowest in the area. You will be pleasantly surprised at how affordable solar power is for your home or business. 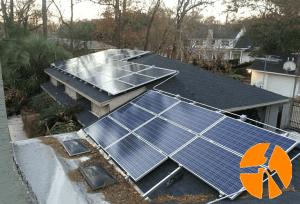 If you are considering a solar power power installation Denton, Texas for your home or business you will discover that it is bankable equity that is proven when you pay your energy bills each month. We offer a 10 year manufacturer’s equipment warranty as well as a 25 year MFG solar panel performance guarantee. Our 5 year Aztec renewable energy limited warranty is also the best in the local solar business. If you want us to share our knowledge with friends or business associates, let us come to your business or fraternal organization and we will share our knowledge and solar industry specifics so you can totally understand the value of solar energy. We have a no lower price guarantee and our company will beat the price of any licensed electrical contractor or solar contractor in the area. Our license is TECL #29509 and our years of industry training and knowledge in the solar and wind power arena is unparalleled. If you are a local business owner or homeowner, you will be satisfied that we can answer all questions about prices, savings and how perfectly wonderful this type of green energy is to the environment and to our children in the future.